One of the conditions for discovering something new is to know the past. Know how to juggle between what is already known and written about the subject matter of the research is essential to create a framework as complete as possible to identify the novelty and justify it; scholars agree that the bibliographic search requires one time use that often reaches and exceeds the 50% of the total work. Human knowledge now is so broad that it is impossible to investigate "everywhere" in a field now immense where you're never sure you're aware of all the possible sources. But collections, or better yet, subsets of information may still be more or less easily managed, albeit with a considerable expenditure of time and effort. 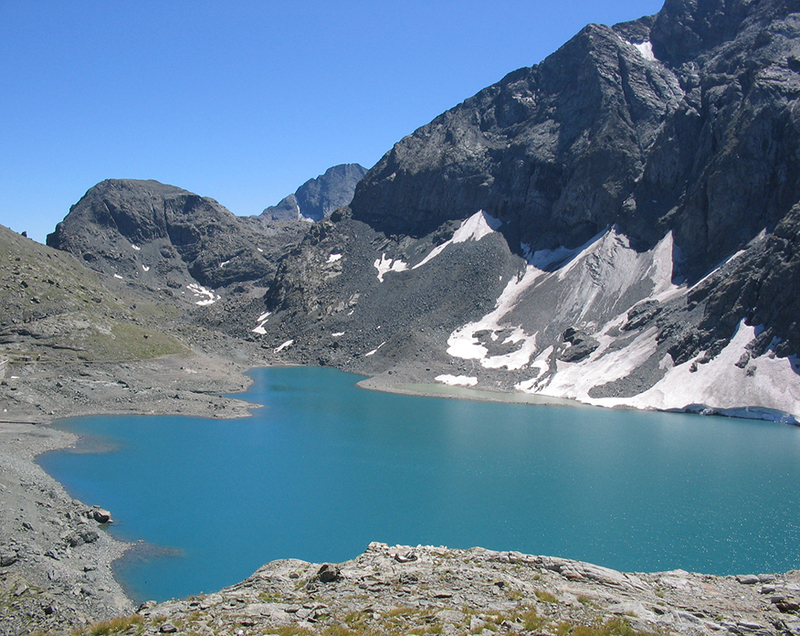 This is how the proposition of a bibliography covering Mineralogy (including partly crystallography, Petrology, geology, mining with hints of history, geography and archaeology) in a small area of the globe which is called the Piedmont area, namely the western part of Northern Italy. This commitment had already been addressed in 1893 with bibliography of Parona, Lot & Virgil; before 1935 later updates were appeared in the Bulletin of the geological survey of Italy and after that date in the journal of Mineralogy, to get to 1979 with the release of "mineralogical Bibliography of Piedmont and Val d'Aosta Franchini Angela, mineralogy & Brizio published by Piedmontese Association Maletto and Paleontology of Turin. 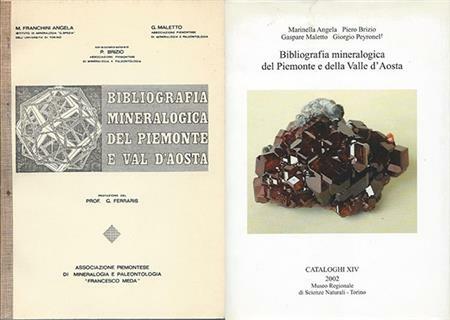 In 2002 finally appeared the "mineralogical Bibliography of Piedmont and Aosta Valley" from Angela, Brizio, Maletto & Peyronel published by the regional natural science museum in Turin, which is, to date, the latest publication. But data continues to increase: from 2100 references of 1979 had passed to 7200 of 2002 and now has to 8750 references. Down the idea of being able to publish a new, and even more ponderous, volume has decided to offer an electronic version that users can, in addition, offers the possibility to easily integrate more and more frequent updates. The structure is always the same: authors, date, title, citation with the same and usual considerations to match with any research. First of all, the handwriting of the surnames of the authors of the language used in the title of abbreviations used in the references is not always unique. Some authors have been reported with different surnames (Bonvicino/Bonvoisien) with the last names of family or acquired (Fer/Angela) and with different spelling (Strüver/Struever/Struver) then when searching by author we recommend, first to desist, to "prove" all alternatives. All the more reason to search for Minerals or places you have to think about the various languages used in the titles (Garnet/garnet/grenat/granat) (Mont Blanc/Mont Blanc – Cervandone/Scherbadung) and all possible entries mineralogical "linkable" among them (diopside/alalite/mussite/etc/pyroxene ...) and the enlargement of the area to be studied (Curbassere/Ala di Stura/Val d'ala/Valley of Lanzo/etc.). Also the years (although "only" numbers) may represent the year of publication of issue do not always coincide. Finally it is not always easy to disentangle between abbreviations that "represent" the heads of the various journals and scientific publications in the field of Mineralogy and, sometimes, unfortunately, persist transcription errors in the numbers showing volumes, folders and pages, because the work was not consulted but taken from bibliographies of works not always esattissime. It is so, and in any case, allowed the search by Authors, for years and for Words in titles: these searches can be "crossed" to tighten the desired responses. It is recalled that the purpose of this approach is not having the answer – impossible as mentioned above – but to find few or even a single work interesting. The literature of the latter, especially if current, you can broaden the search and make it as complete as possible. The compiler is confident, however, in the help of those who wish to fill gaps, imperfections and omissions for which we propose to remedy with additions and updates are applied.